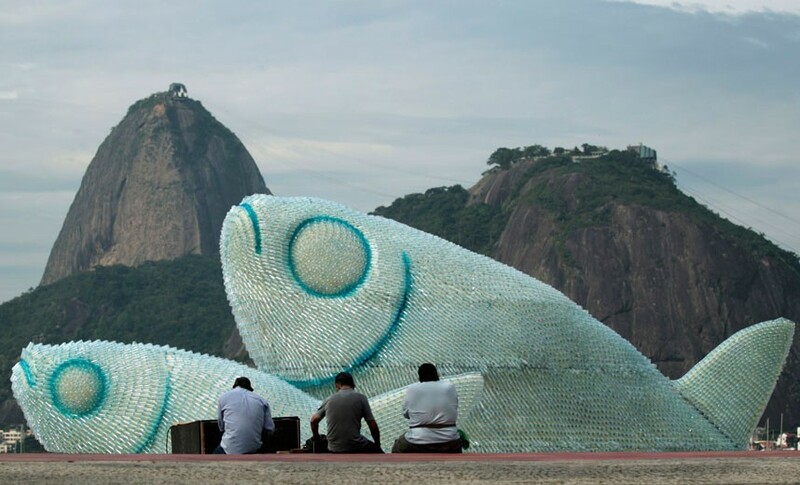 These giant fish rising out of the sand at Botofogo Beach in Rio de Janeiro are made almost entirely out of discarded plastic bottles. 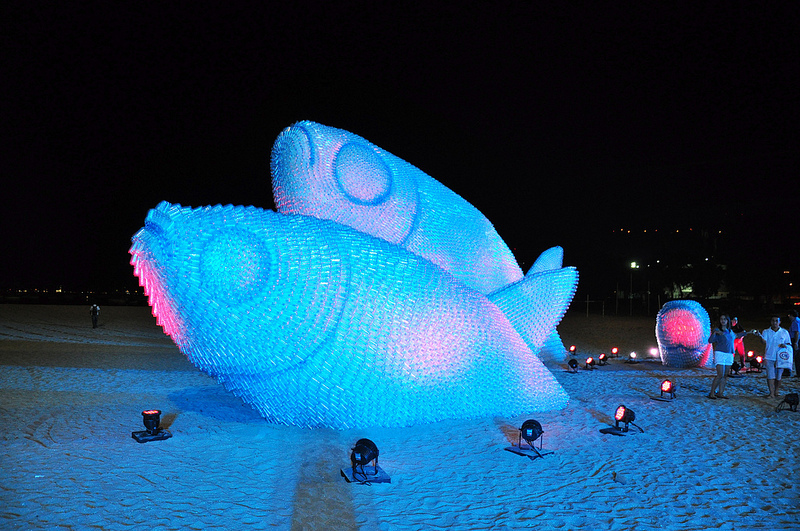 They were created in conjunction with this year’s U.N. Conference on Sustainable Development, a theme of which is plastic as one of the ocean’s most problematic pollutants. Information on the artist or artists who created these behemoths is scarce, if anyone knows please hit me up and I will update accordingly. 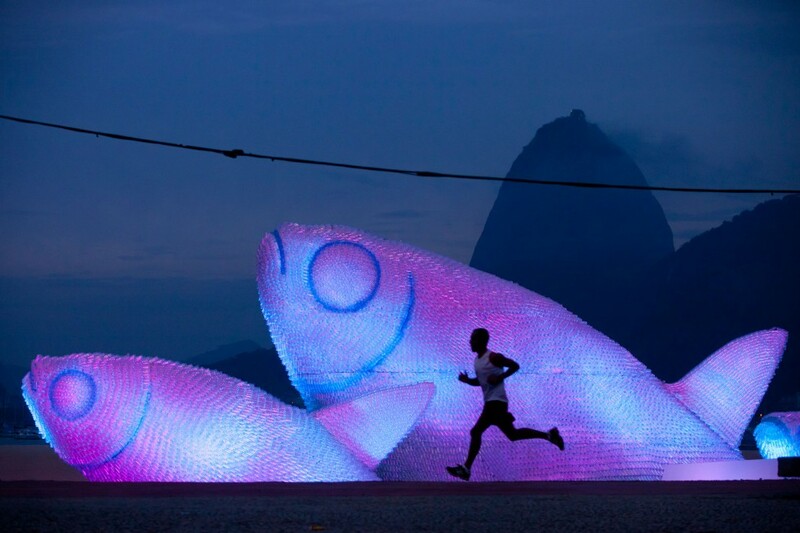 The photos are by Victor R. Caivano. 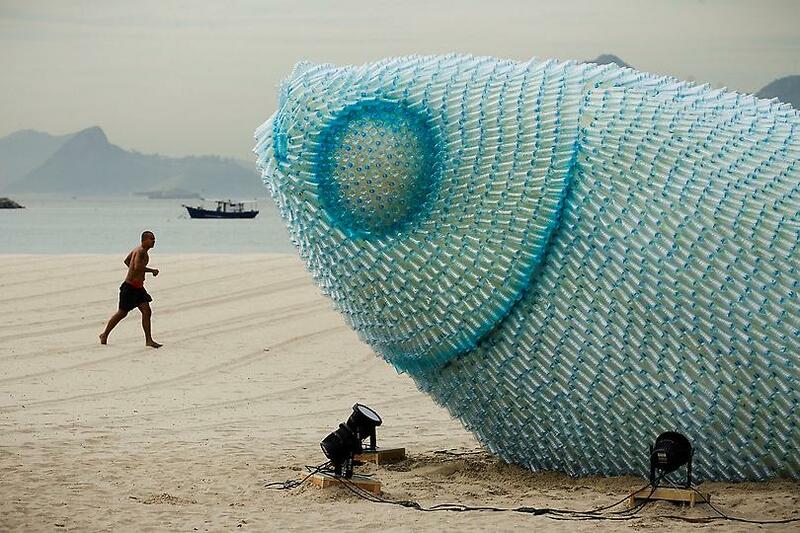 The U.N. Conference on Sustainable Development runs through June 22nd.